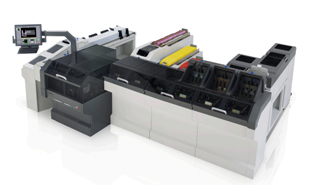 Whatever your business requirements, the DS1200 production folder inserter can be configured with the appropriate modules. Should your organisation grow and change its needs, you can be rest assured that you can simply upgrade or expand your solution to suit. 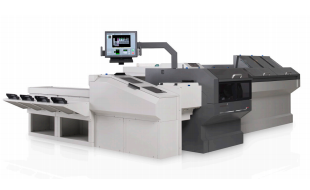 The Neopost DS1200 is designed to operate at the highest practical speed and efficiency - up to 12,000 envelopes per hour – streamlining the entire mailing process, from input to throughput to output, even during peak or rush times. 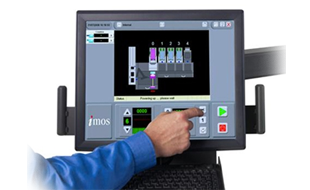 The high-capacity sheet feeder and vertical envelope reception stacker enables you to maintain the highest level of operational productivity even for your most demanding mail processing jobs. Input hoppers are high capacity, and after insertion the envelopes are vertically stacked ready for loading directly into mail trays. It even comes with a remote control to save the operator returning to the touch screen.